According to the World Health Organization (WHO) and United Nations Fund Population Agency (UNFPA) report of 1995, customary inheritance laws, which allocate a deceased man’s assets to his parents and siblings, place wives at a distinct economic disadvantage. A law still enacted today. 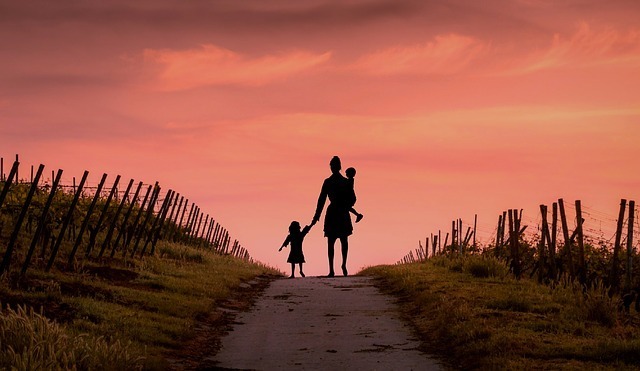 Zambian statutory law provides that the assets of a man who dies without a will are divided 50% to the children, 20% to the surviving spouse, 20% to his parents and the remaining 10% to other dependents. The intestate succession act, as it is known, also states that an administrator be appointed to run the affairs of the person who has died. For many years, women in Zambia have grappled with the problem of property grabbing after losing their husbands due to lack of knowledge about the law. Even in cases where the law is known it is often not respected by extended family. 60-year-old Lisca Chomba, of Katengwe village, in Mwense district, of Luapula province, in Zambia, recounts how most women would suffer in silence and become destitute after losing their husbands to death. “Years back most women in this community would have their houses, pieces of land and many other things grabbed from them by the husband’s relatives. The perpetrators would do this without any remorse at all,” says Lisca. Lisca, who got married at the age of 16 to Joshua Chomaba after dropping out of school, then form 2 now called grade 9, says she thought she was lucky to have not suffered property grabbing after her husband died. She notes that at that time she did not know about the provisions in the intestate succession law and was satisfied that her husband’s relatives gave her and her 10 children 50 per cent of the family assets which included a plot, a 5 hectares’ piece of land and household property. ‘When my husband died in 2005, I didn’t feel abused as a widow. I actually thought it was a blessing for me and my children to be given 50 percent of the family assets. The succession law was not applied and I didn’t care less because I knew nothing about it’…she adds. A study conducted in 2005 by a Rwanda-Zambia HIV research group, revealed that 17% of men and 31% of women believed that Zambian law dictates that (in the absence of a will) property goes to in-laws upon death of a spouse. Interestingly, majority of both males and females also believe that surviving spouse and children should retain the matrimonial house and its contents. The same study also indicated that guardians are also known to squander the inheritance on themselves and their families. It is perhaps after knowing that there was more to succession that Lisca, in 2016 decided to join the Justice for Widows and Orphans Association. The association is working in some rural parts of Zambia to help widows and orphans get justice through understanding the Intestate succession act and claim their land and inheritance rights. Lisca told Swenga News that she is now an instructor for trainers and works with 20 other members in the Lubuto Widows’ group; members are aged between 25-64 years old. The group members work in their communities to empower other widows not just with knowledge on the intestate succession act but with basic needs such as food and much more. The women have a piece of land where they have been cultivating an assortment of vegetables and maize which they sell and use the proceeds to help outwidows, orphans and other people in need. “Since this programme started in our community in 2016, I have seen and witnessed that property grabbing has reduced and it is been defeated. Women are more alert and do not just accept anything less than what they deserve. They now know that property grabbing is a form of gender-based violence that can be fought through empowerment, knowledge is power and it is been used well here,” says Lisca. Further she adds that women should also take interest in know how to write a will so that their property is not grabbed from them in the event that their spouses die. She says that a will empowers women and protects them from this form of gender-based violence. The executive director for the Justice for Widows and Orphans Felix Kunda says property grabbing is a form of gender-based violence that mostly affect women based on their gender and nothing else. He says that is why his organization has seen the need to bridge the gap that is created when a woman loses a husband by establishing widow’s support groups. Mr. Kunda notes that they are empowering women to help others in their communities who are victims of gender-based violence (GBV) through property grabbing such as losing land at the hands of their husband’s relatives. He has told Swenga news that they are working in 11 communities in Luapula, a province of Zambia, and well over 250 widows have been qualified as instructors of trainer’s and are able to stand and defend the rights of other women. Stating the intestate succession act is a weapon that the women are using to identify GBV cases. However, Mr. Kunda finds the battle to end GBV is far from being won, as the cases are happening at an individual level and most of the victims choose to keep quiet and hide in traditions, sometimes as a result of being unaware of their rights. He also adds that the battle has been left to women alone and urges men to join the fight. "Men should be involved, men who believe in feminism and appreciate gender equality, men who are able to defend and protect the rights of women at all levels should come forward and join the efforts,” Kunda says. According to statistics, from the Zambia Police Victim Support Unit, 6,114 GBV cases were recorded country wide in the third quarter of 2018 compared to 5,096 last year, for the same period, marking a 16% increase. Similarly, for the first three months of 2018 there was also an 8% increase from the previous year to 5,940. Zambia police Chief Inspector Archie Magai says the increase is despite efforts by many stakeholders to end all forms of GBV. Inspector Magai, acknowledges efforts by organizations such as the Justice for widows and orphans who are targeting specific forms of GBV. He has called for enhanced support structures at all levels from individual, household, community, institution and country level.